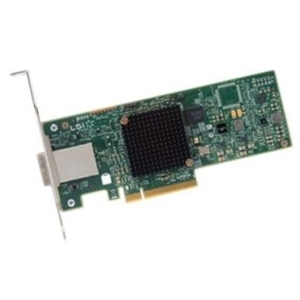 The N2225 and N2226 SAS/SATA HBAs are low-cost, high-performance host bus adapters for high-performance connectivity between System x servers and drive enclosures, tapes, and RAID storage systems. The N2225 provides two x4 external mini-SAS HD connectors with eight lanes of 12 Gbps SAS. The N2226 provides four x4 external mini-SAS HD connectors with 16 lanes of 12 Gbps SAS.